YOU LIKE THAT!?... 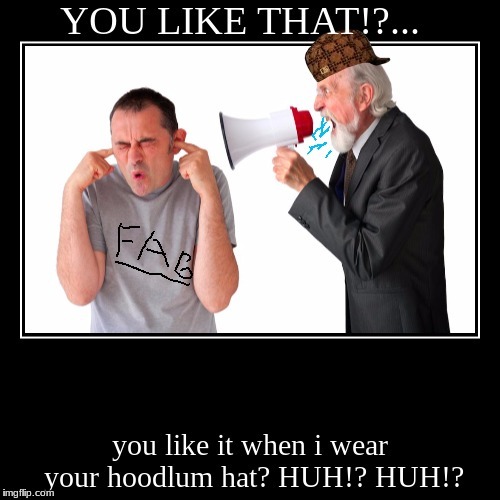 | you like it when i wear your hoodlum hat? HUH!? HUH! ?